FORT LAUDERDALE, Fla. - Suspended Broward County Sheriff Scott Israel has launched a legal defense fund to fight efforts by Gov. Ron DeSantis to remove him permanently from office, the Miami Herald reported Sunday. Israel’s attorneys did not disclose how much the fund had raised so far or the names of any contributors. "Our position is that the voters of Broward County are responsible for deciding who is their sheriff, not the governor," Israel’s attorney, Ben Kuehne, told the newspaper. DeSantis suspended Israel this month for his handling of the Parkland school shooting. Several deputies, including School Resource Officer Scot Peterson, failed to engage the gunman, Nikolas Cruz, while he was inside Marjory Stoneman Douglas High School. Many survivors and parents say the Broward County Sheriff’s Office’s inaction cost lives. Months after the shooting, Israel changed the office’s active shooter policy in response to the criticism. Seventeen people were killed in the Valentine’s Day 2018 mass shooting and more than a dozen others were wounded. The Sheriff’s Office also came under scrutiny because deputies had been called to Cruz’s home multiple times before the shooting. Critics says Israel ignored obvious warning signs that could have prevented the shooting. Local 10’s Trent Kelly spoke with Israel on Saturday. Israel called his suspension unjust and believes he did nothing wrong. He said he would keep fighting his removal, but did not mention the legal defense fund. 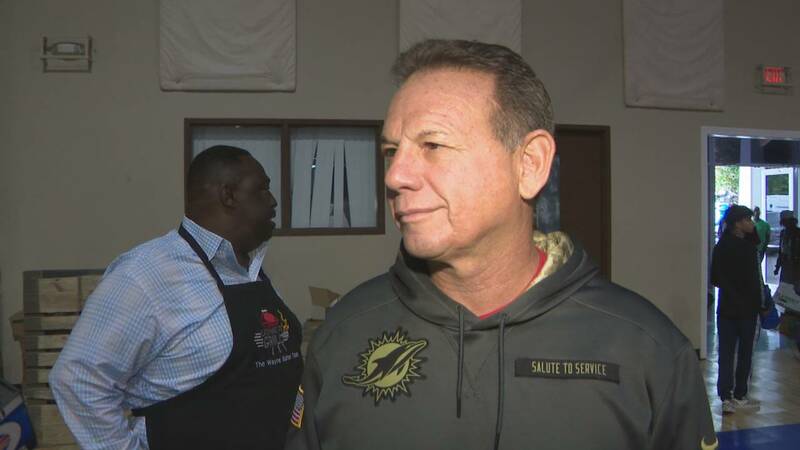 DeSantis replaced Israel with Sgt. Gregory Tony, who will serve the county until 2020. Israel could be reinstated if the Republican-controlled Legislature decides to reverse DeSantis’ decision. However, most political observers see that as extremely unlikely.